Jana Kirschner is a prominent Slovak author and performer, born on December 29, 1978 in Martin where she took piano and singing lessons since she was little. At seventeen, she released her debut album Jana Kirschner and only one year after that she won the prestigious Music Academy Award. However, it was album V cudzom meste that kicked off her career: it topped the Slovak charts soon after its release in 1999. That same year, the album got her the Grand Prix Radio Award and enlarged her collection of awards, including Slávik Awards in the Female Singer, Artist of the Year, and Album of the Year categories. 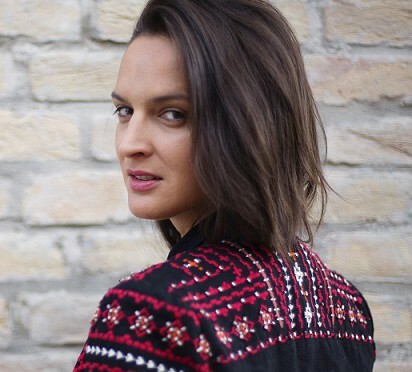 Soon after that, she also gained recognition on the Czech music scene – she collaborated with musicians such as Jaromír Nohavica, Miroslav Žbirka, Tomáš Klus, Robert Kodym, but mainly with legendary duo Petr Hapka and Michal Horáček. After this success at local scene she got an international offer to collaborate with Universal Music and in 2004 she left for London. In 2005, she recorded an album in English called Shine under this record label with British producer Ross Callum, known for his collaboration with Paul McCartney or Tears for Fears. As a five time Slávik Awards winner and holder of the Female Singer of the Year title, she has recorded more than one hundred pop songs so far that are characterised by her individual style and mature poetic lyrics. A breakthrough song Pokoj v duši that brought new poetics to the Slovak pop music became „Hit of the Year 2009“ and also became a theme song for the movie that shares the same title. In 2011, Jana Kirschner met a producer and her life partner Eddie Stevens in London who is known mainly for his collaboration with bands Zero 7, MOLOKO and singer Roisin Murphy. Together they recorded her already legendary album Krajina Rovina that was a clear evidence of her maturity as an author and despite a distinct shift from pop genre and negative initial reception on part of the record label, in Slovakia as well as in Czech Republic, it became music critics and fans´ favourite. Ever looking and discovering, playfully bringing together different music genres as well as musicians from various music worlds, with almost two decades long music career, she still belongs to those authors who can surprise and come up with something new.